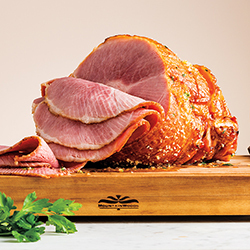 Easter Sunday calls for a delicious ham recipe. Try this twist on a holiday classic with an apricot and mustard flare. Check out our Weekly Ad to make the most of your shopping list. Click here to watch the recipe video. Place roasting rack in large roasting pan. 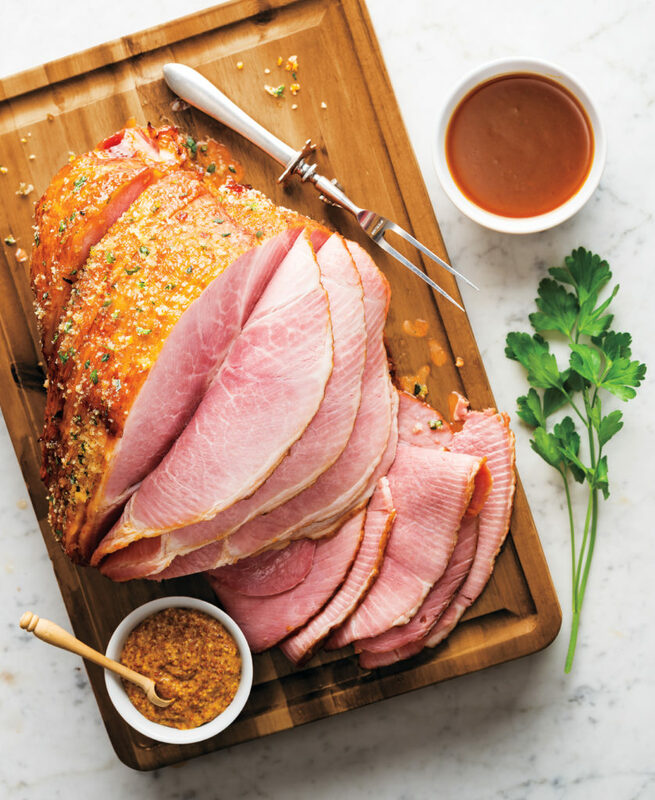 Place ham, cut side down, on rack in pan; add ½-inch water to pan. Cover ham loosely with aluminum foil; let stand 30 minutes. Preheat oven to 325°. Bake ham 1 hour. In small saucepan, heat preserves, brown sugar, mustard and Worcestershire to a simmer over medium heat; simmer 2 minutes. In small bowl, stir breadcrumbs, chives, parsley, butter and zest. Brush ham with some glaze; bake, uncovered, 20 minutes, brushing with glaze after 10 minutes. Remove ham from oven; increase temperature to 400°. Brush ham with glaze; sprinkle with breadcrumb mixture. Bake 10 minutes longer or until internal temperature reaches 135° and breadcrumbs are browned. Transfer ham to serving platter; cover loosely with aluminum foil. Let stand 15 minutes before serving (internal temperature will rise to 140° upon standing). Stir water into remaining glaze; serve with ham. Serve with coarse ground mustard, if desired.